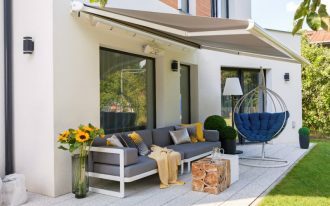 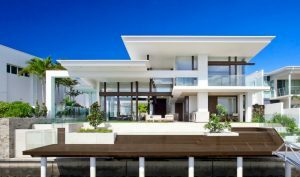 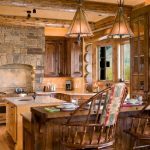 Logs and stones are definitely things that can be used to create astonishing homes and you can use them if an astonishing home is what you want to build. 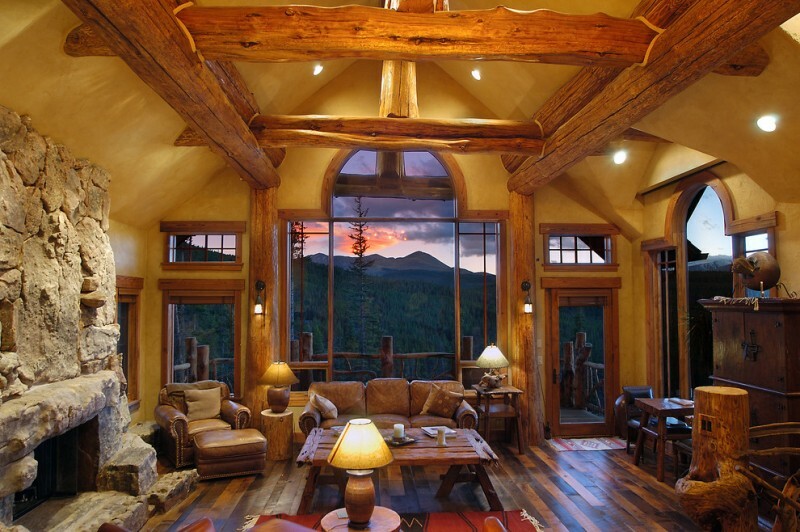 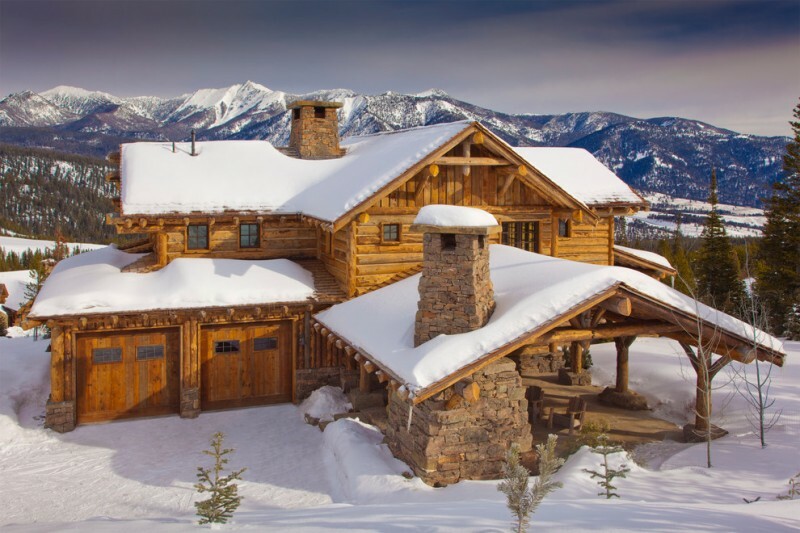 There are many smart ways to use logs and stones to create an attractive-looking house. 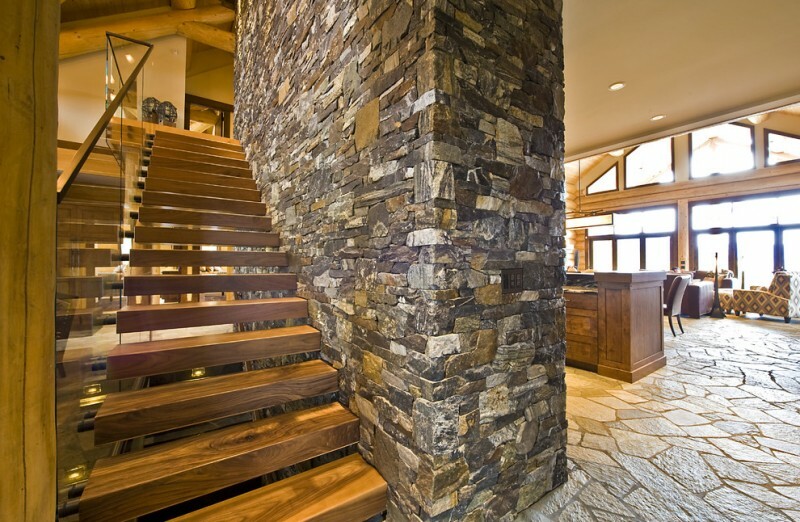 If you’re considering using these two materials, you have to take a peek at these smart combinations of logs and stones. 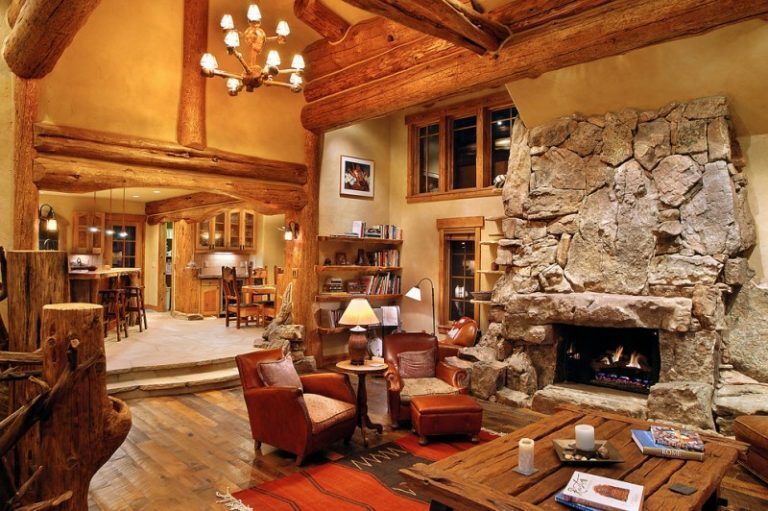 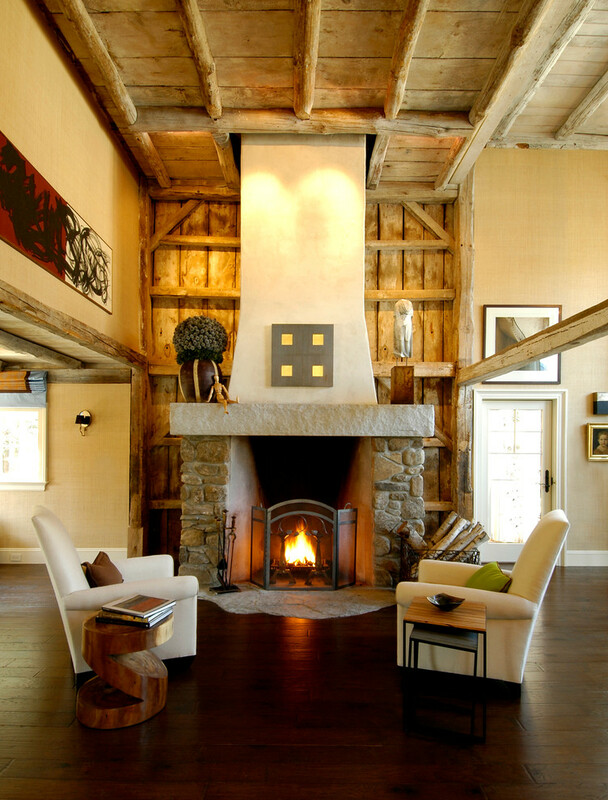 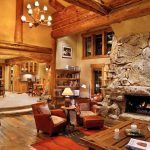 This living room that consists of logs and stones, as well as other materials that only play small roles, is something you can use as an example when you’re designing the interior of your own log and stone house. 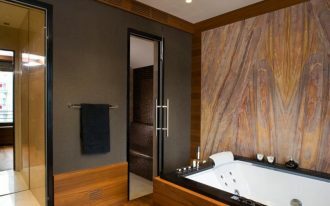 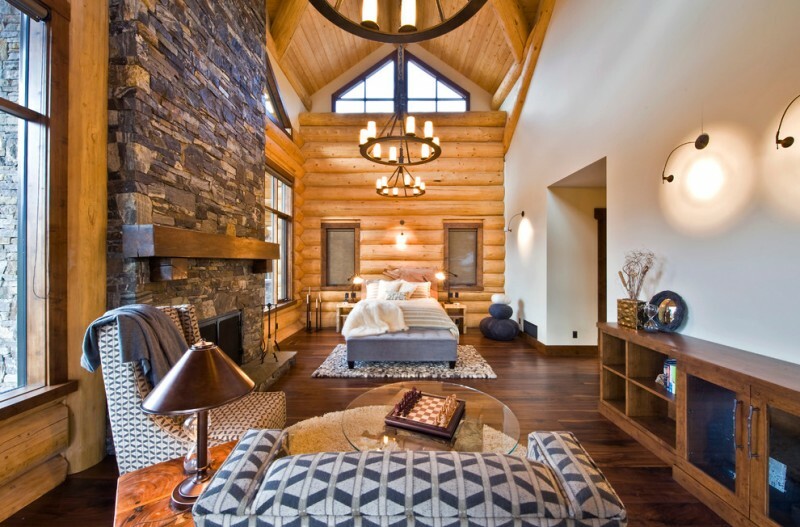 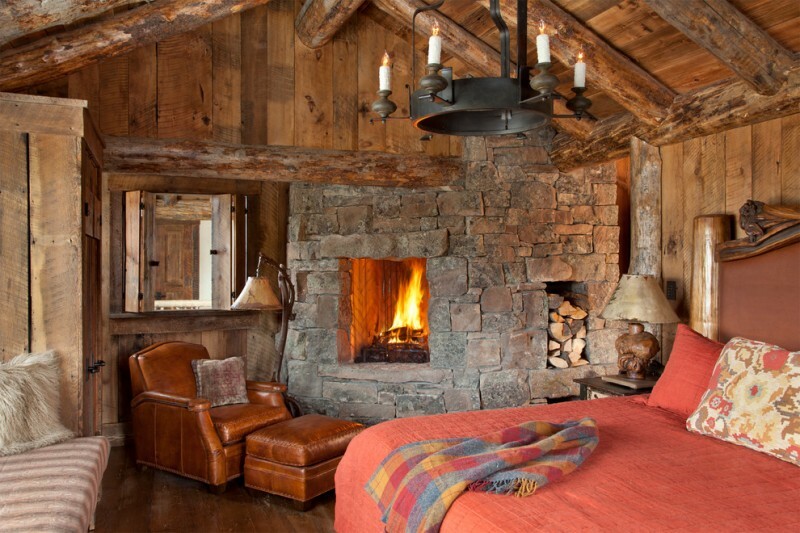 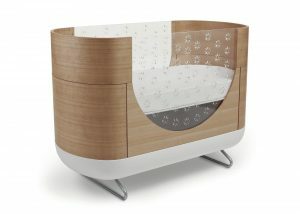 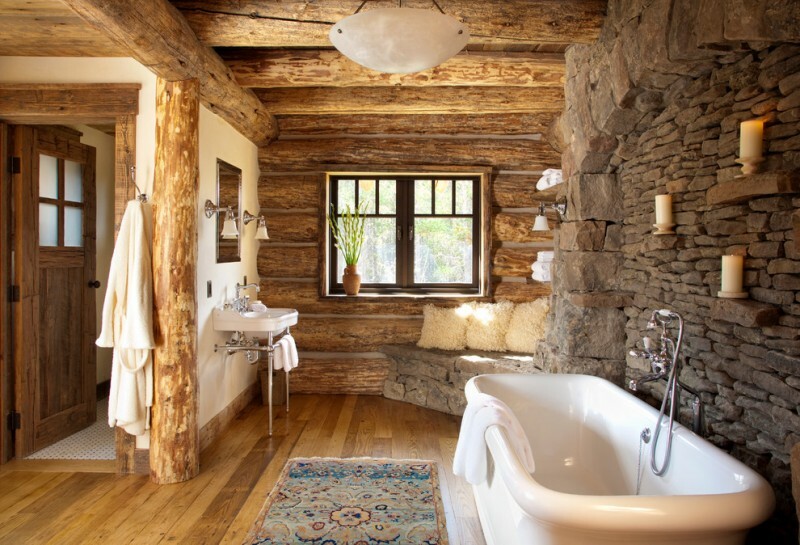 This one is a room with logs and stones you can use as a source of inspirations for your log and stone bedroom designs. 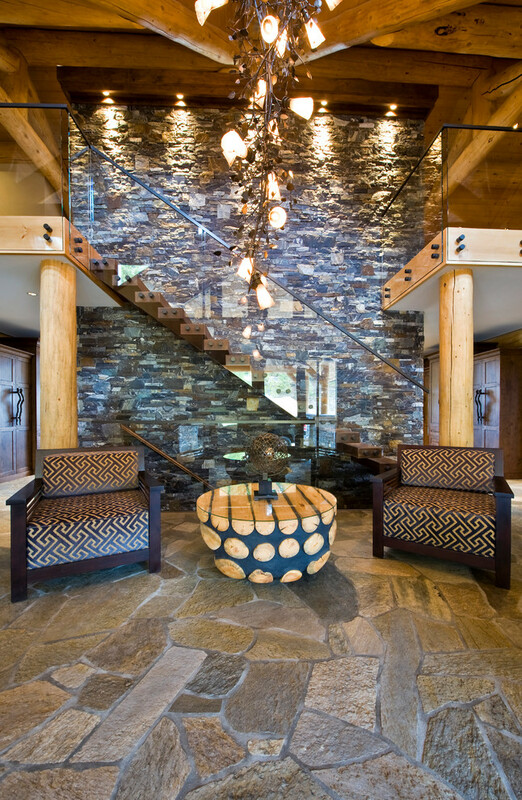 The stairs in this house has glass, which definitely goes well with the stones and logs, as well as the interesting lamps the interior has. 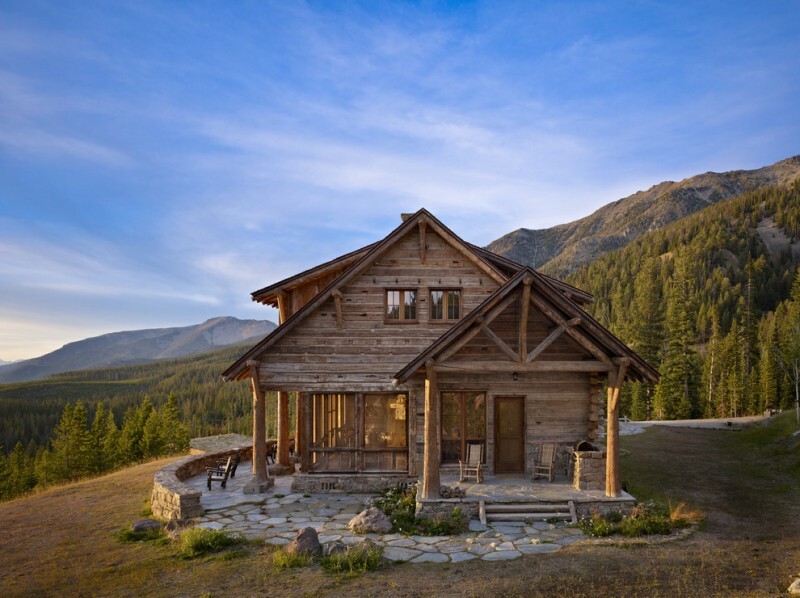 This house with a rustic exterior has two stories and it has so many areas members of a family occupying it can choose to spend time in. The stones on this house might not stand out too much but the logs on it sure do. 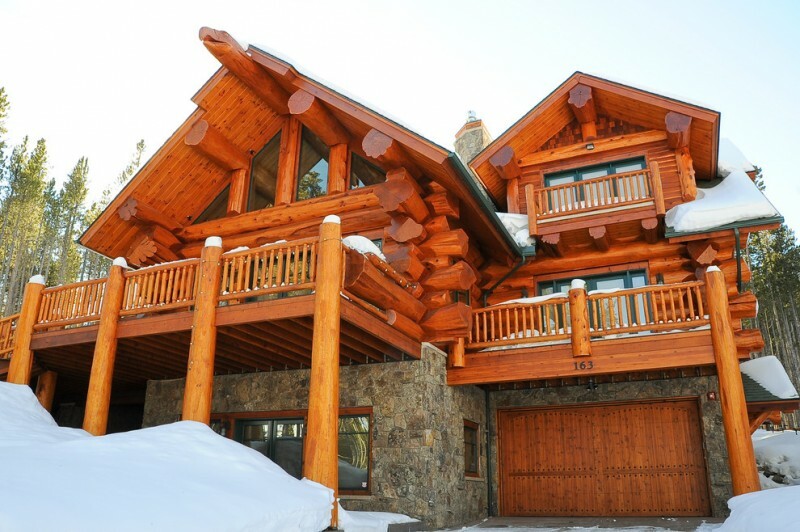 The logs have vivid colors that give the exterior of the house a very beautiful look. 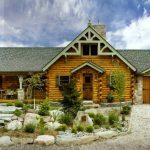 This house that has lots of logs and stones has a patio with a fireplace people can gather and spend a really good time at. 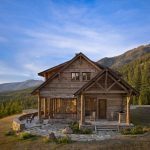 The location of this stone and log house allows it to offer a really stunning scenery to the humans residing and spending time in it. 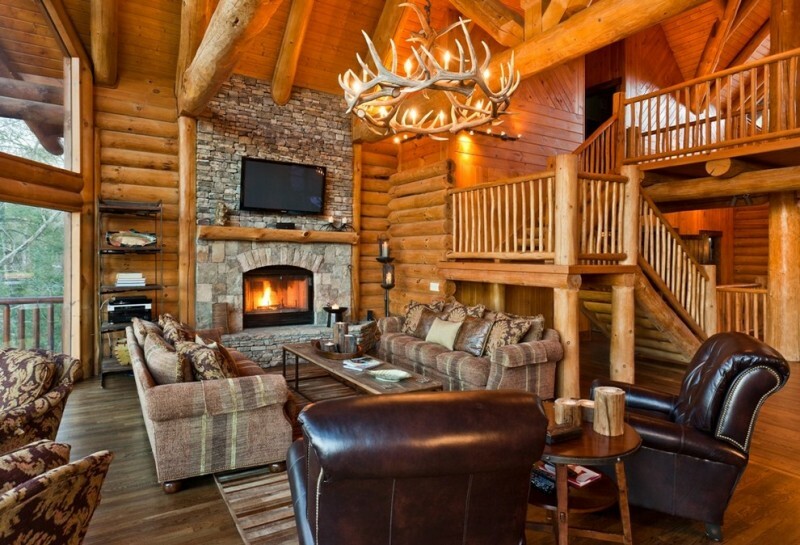 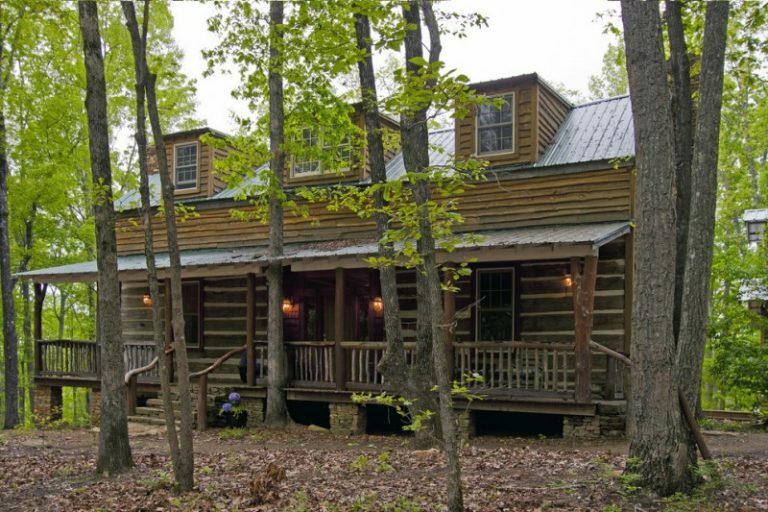 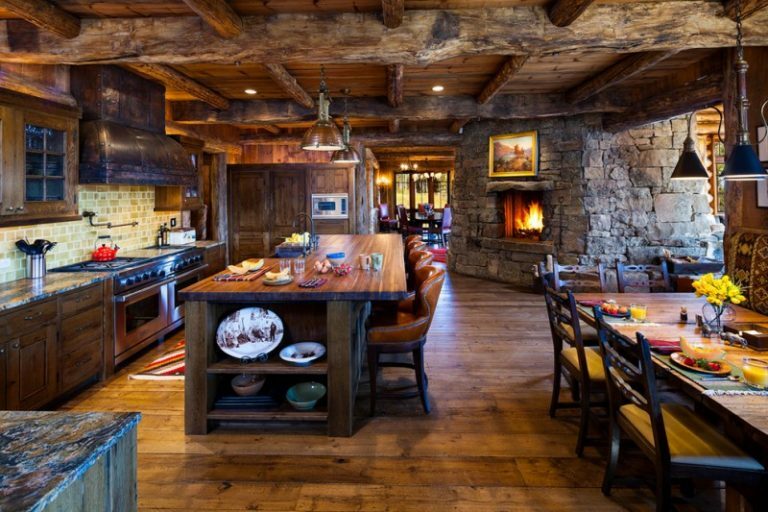 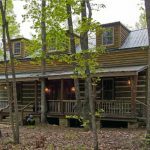 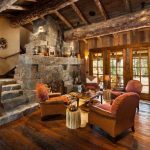 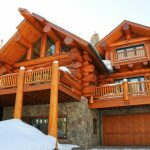 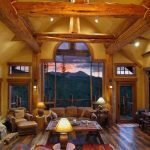 This warm stone and log house has a stone fireplace, as well as a sofa with pillows and a table that allow its occupants to gather and spend time together doing fun things or simply chatting. 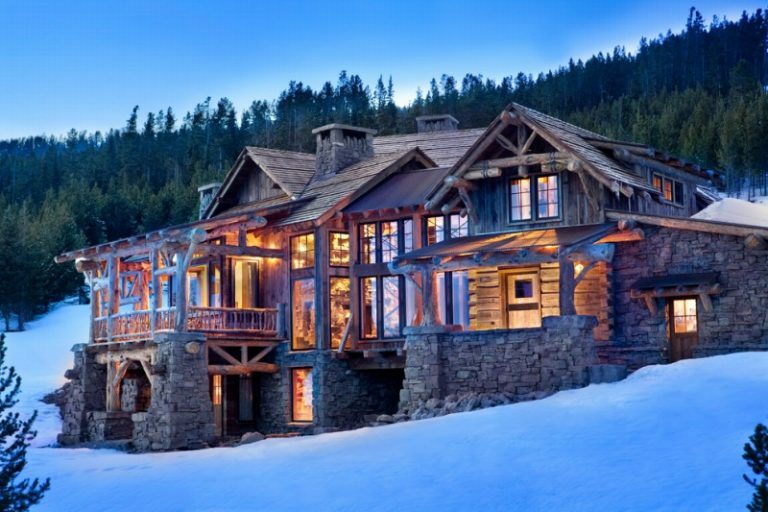 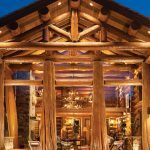 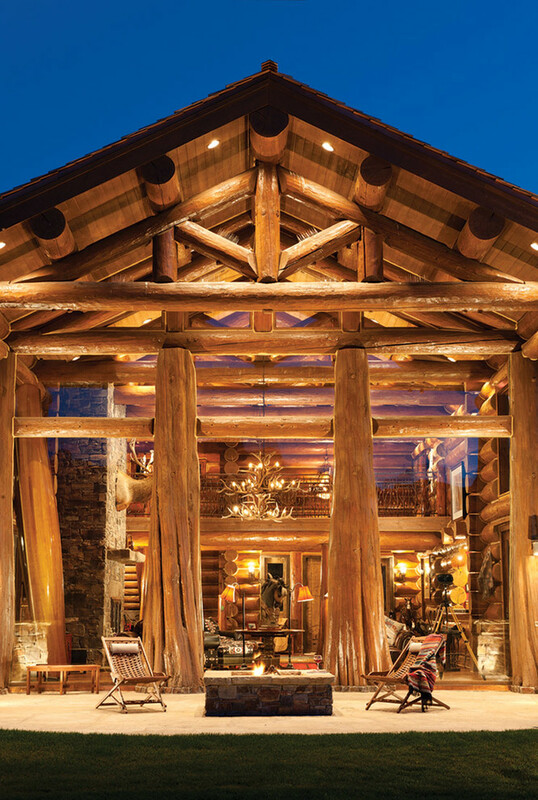 The designer of this stunning stone and log house sure knew how to do smart things using the lights the house has to offer to its occupants. 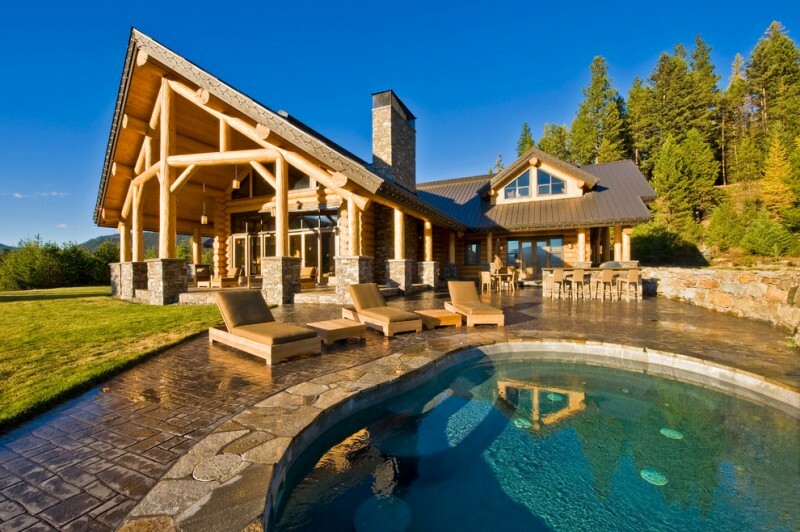 With a pool, this log and stone wall sure is one that exudes luxury by simply having the pool and well-designed areas with logs and stones. 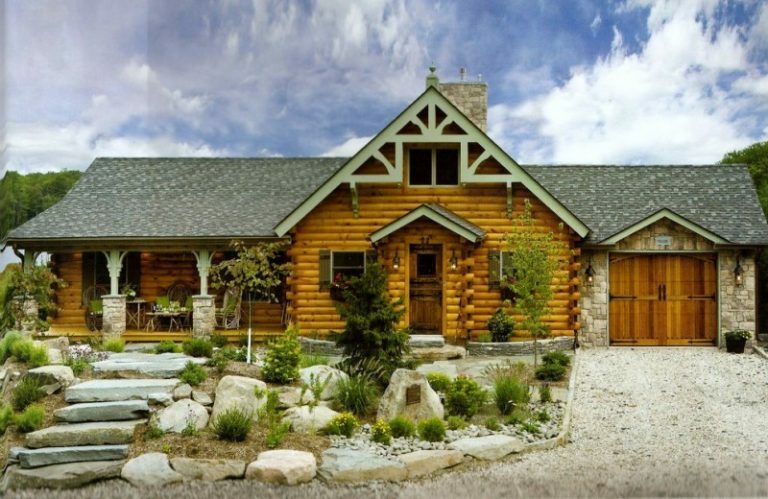 This house has pillars made using stones and logs and it’s definitely a building you should observe if you’re planning on building a house that has pillars. 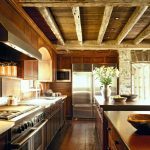 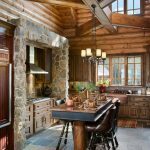 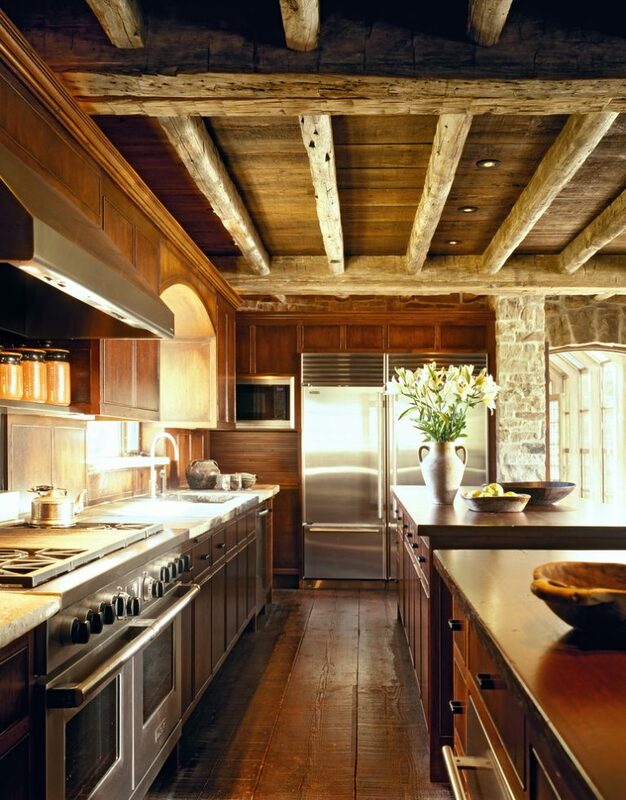 This room is a kitchen with logs, stones, and lots of wood and it’s one you should peek at if you plan on build a log and stone house with a log and stone kitchen. 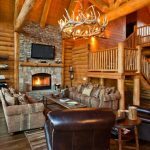 Tomahawk Log & Country Homes Inc. 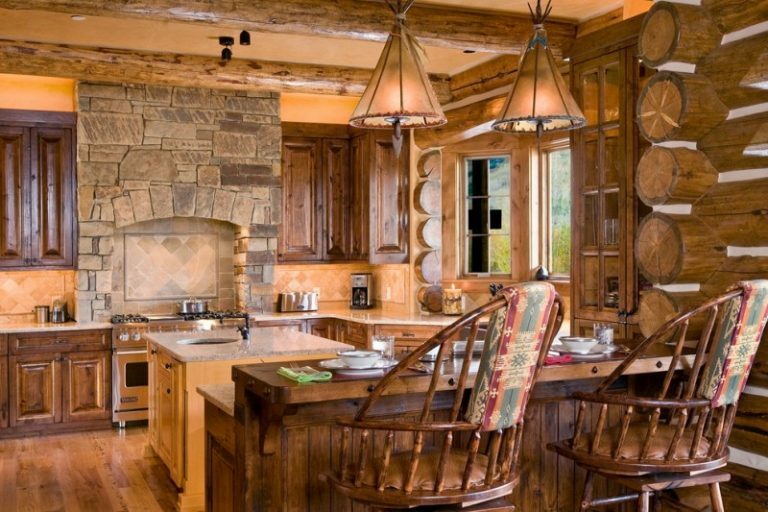 This kitchen also has logs and stones and in addition to having the two, the room also has interesting hanging lamps and dining chairs. 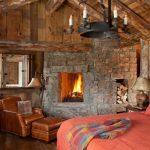 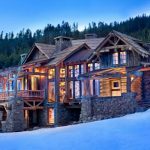 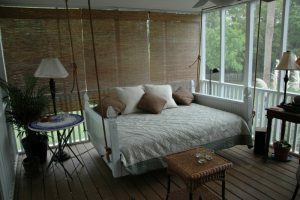 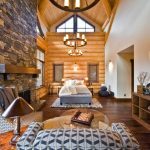 This is a source of inspirations for you if you’re considering building a log and stone house with a log and stone bedroom that has a fireplace and a rusty look. 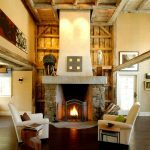 This house has a living room with a stone wall and many parts with logs, as well as a uniquely interesting chandelier. 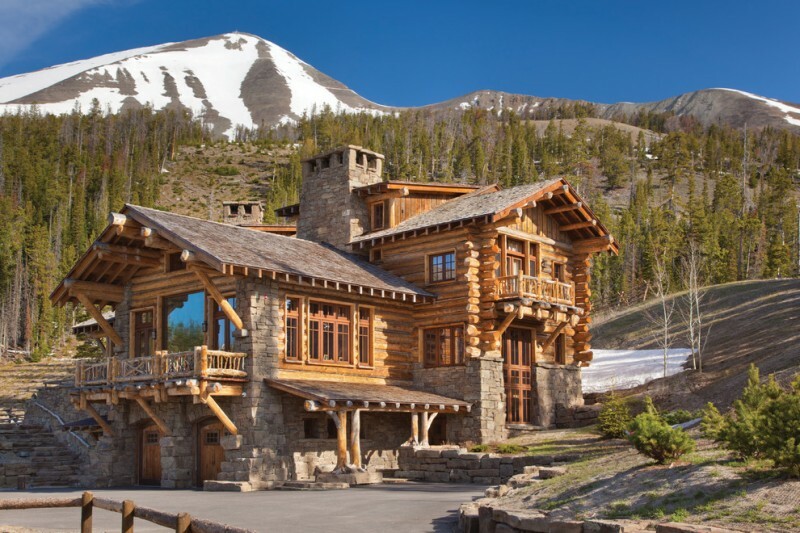 Some walls on this house are made using logs and some others are made using stones. 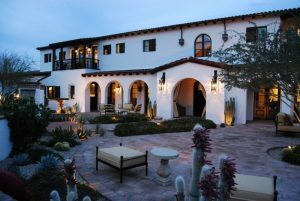 The house itself is quite big and has a wide outdoor area. 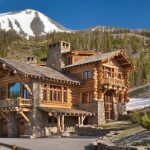 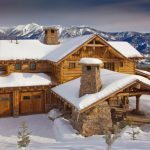 This log and stone house is on a mountain and it offers a quite stunning scenery the occupants can enjoy from one of the tops of a mountain. 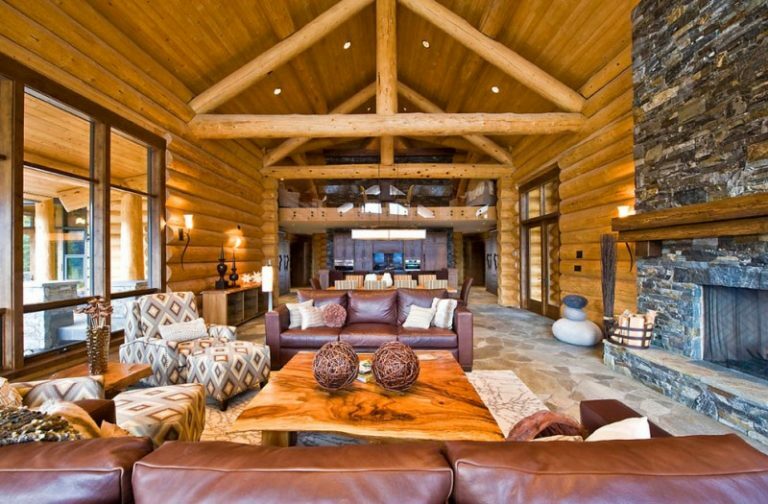 This house has a living room that, despite having logs and stones, is quite modern as it has a modern painting, chairs, and more. 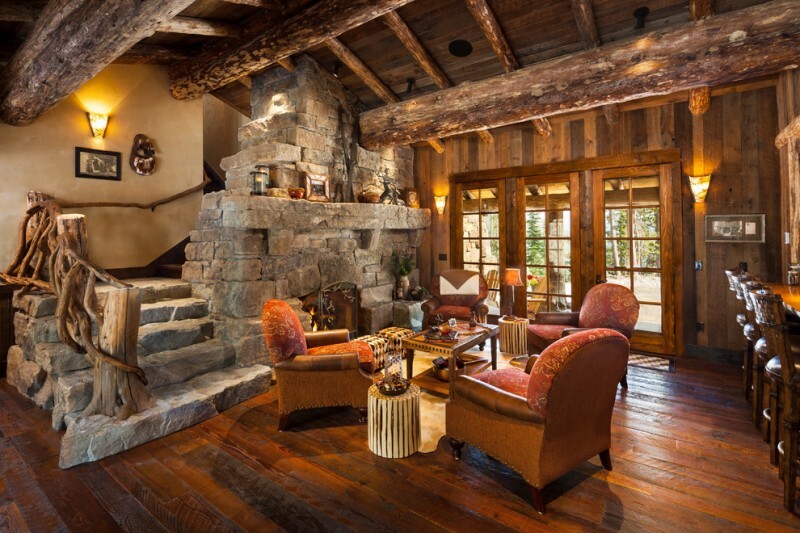 This house has a big living room with a stone wall, a stone floor, and log walls in addition to a sofa with pillows, wall lamps, and a fireplace, among others. 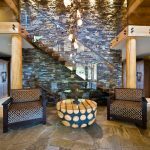 This log and stone house has a rustic staircase that doubles as a staircase and a decorative item that beautifies the room it’s in. 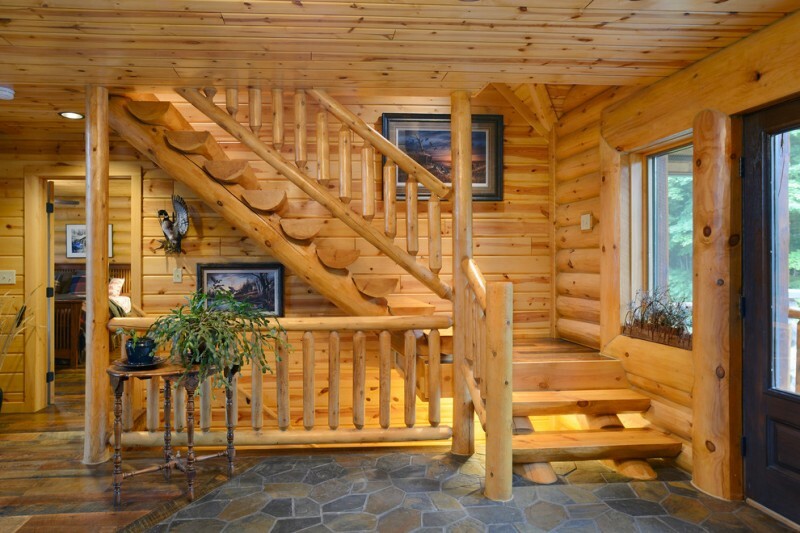 The logs this house has sure look awesome and the stones used in it are also smartly placed to create a very interesting staircase. 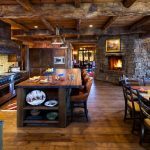 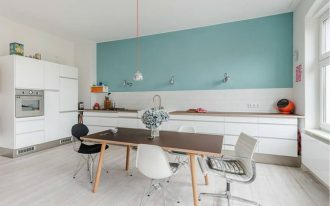 This house has a log and stone kitchen, which has a fireplace, a painting, hanging lamps, and a very wide space to use to spend time together with many people. 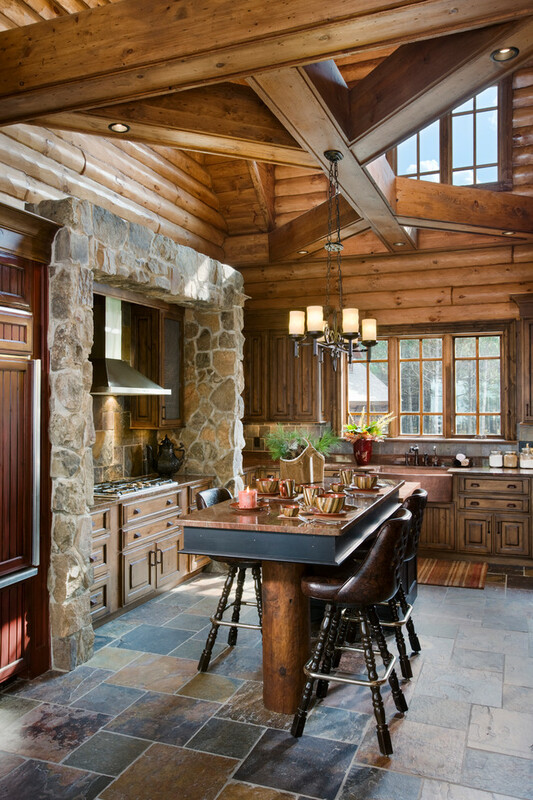 This kitchen has logs and stones as parts of its elements and it’s dominated by wood, which is on its floor, storage items, and ceiling. 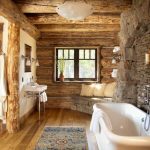 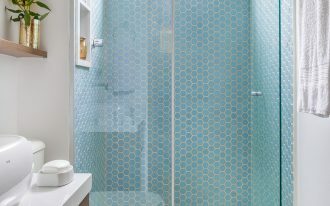 Logs and stones can also be used to create a stunning bathroom and this awesome bathroom with a stone bench is a proof of that. 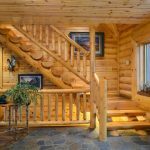 This awesome house has a staircase made using logs and it has a stone floor and log walls that successfully complement it in an effortless way.